BizzNtech | Chocolap Laptop Just For $26!!! 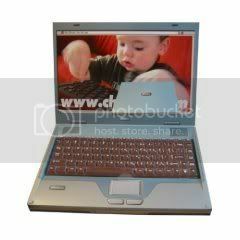 Have you heard of any laptop selling for $26? Well I certainly don’t think so. But here’s one such. A German company is selling a laptop made from chocolate known as Chocolap. This laptop is priced at just 17,95 Euros (~$26) on Amazon Germany. The keyboard consists of 300 grams of chocolate. So in case you can’t afford to get a good laptop just grab this one, it will certainly make you lick your fingers while typing. The rest of the box is made from cardboard. The footprint of the Chocolap is 320x210mm. If you wanna grab one then just go here.